SuccessFlyover is a platform run by me, Ifiok Nk to provide you with the proven strategies and tools you need to run your own successful online business by leveraging on other successful people’s Network, Knowledge, Experience & Money. This is the SuccessFlyover Philosophy. You can learn all about this philosophy on the SuccessFlyover 101 page. Ifiok Nk is a ‘passionate netpreneur’, web consultant, author, and digital product creator. 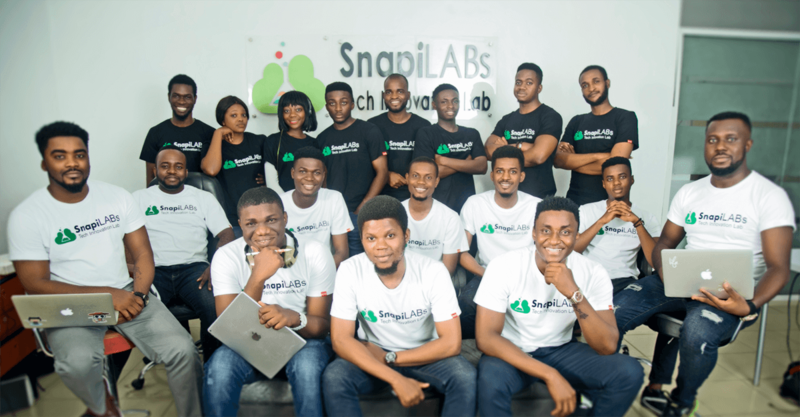 After experiencing a career shift from Medicine & surgery to Tech/ICT, he founded Snapilabs – a technology innovation lab that has created and successfully launched several multiple 6-figure products. His first product – Mobimatic, a drag and drop mobile app builder revolutionalized the app industry and grossed over $350k in JVzoo during the first 5 days of launch and went on to do over $1million in sales. His SaaS products have done over $2 million in sales with over 15,000 happy users. As one of the most sought after web consultants in Africa, Ifiok has been involved in over 700 projects and has consulted for high networth individuals, businesses and corporations including the governments of Nigeria and Angola. He has trained and mentored over 10,000 people through his workshops, seminars, bootcamps and home training kits. I started this journey with my first web design using freeservers and 50megs when I was 11. ) Thats 19 years of unparalleled web consulting experience). Initially, it was just an hobby – helping my family and friends. In 2012, I decided to monetize my hobby by building a business around it. 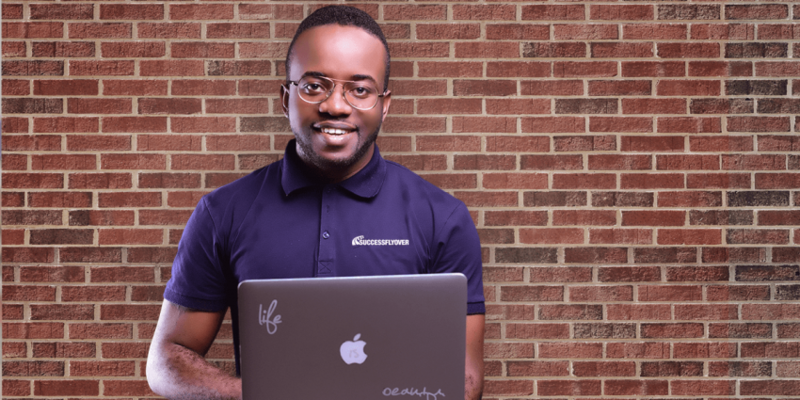 Starting with a borrowed laptop and N5000 ($25) I launched out something that has grown into a multi million internet business empire and also impacted directly on thousands of people and businesses. It’s hard to think that without having any online business experience I went from squatting in the medical hostel to running a seven-figure business in a couple of years. Hustle comes to mind when people ask me how I did it. Lot’s of hustle, passion, focus, and consistent vision. …You just have to decide when to start. I have started mine, achieved some level success. With more Guts and Hustle, I will definitely take my business to a higher level and through SuccessFlyover, I hope to assist as many people as possible. I’ve always dreamed big, strived for greatness and deeply cared about people. 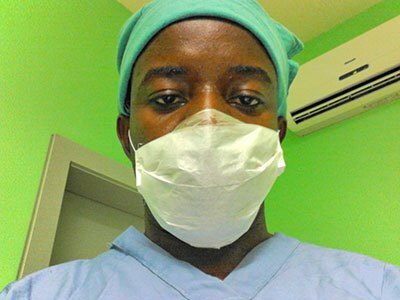 The reason why I opted for the medical profession then was to save lives and help people. During the course of my early clinical years, I came to discover that most chronic illnesses are tied to and affected by poor socioeconomic status. I experienced a massive shift from saving lives to empowering lives. I now devote my time to creating courses and systems as well as traveling around the world teaching and helping individuals achieve their business goals by leveraging on the power of the Internet. My faith demands that I do whatever I can, wherever I am, whenever I can, for as long as I can with whatever I have to try to make a difference. Anyone who thinks that they are too small to make a difference has never tried to fall asleep with a mosquito in the room. and my story is no different. While it’s easy to make your life seem “perfect” online, often it’s what’s going on behind the scenes that matters most. In this blog, I will also share the vulnerable, unedited back-story of my life including the dramatic, emotional, and “unpretty” events that have shifted my focus from making a ton of money to having an impact and helping other entrepreneurs (like you) build their businesses in a way that gives them more freedom.